INTERNMENT as a weapon was not new to the British. The nineteenth century alone had seen some 105 Coercion Bills, whose ruthless provisions often included virtual internment of the Irish. In 1881-1882 more than a thousand Irishmen were put in prison without warrant, charge or trial as 'suspects'. Habeas corpus was suspended and the Land League proclaimed. But internment camps were a new thing. The Boer War gave the name 'concentration camp' to the world and brought shame and ignominy to Britain, accustomed for so long to have her imperialist way without question. Some 20,000 Boers, mainly women and children, died in the camps from disease and neglect. In 1914, with the outbreak of World War One, enemy aliens were rounded up and interned, mainly at Frongoch camp in North Wales. Few Irish were amongst the assorted group of foreigners. Indeed, many Irishmen were in the British army fighting that "small nations might be free"! 1916 changed that. As a military uprising it was as impractical as all those before it: in Dublin 1,500 men marching in Easter Week to occupy the General Post Office, Bolands Bakery, South Dublin Union, and several minor public buildings and solemnly proclaiming Ireland's freedom. Most Dublin people gawked in amazement or jeered the volunteers. At 3.45 p.m. on Saturday 29 April 1916, Padraic Pearse issued his note of unconditional surrender. Connolly and MacDonagh followed suit. The fighting was over, but the war was only just beginning. With the crassness born of indolent arrogance the British turned the rebels into martyrs. The signatories of Proclamation of the Republic and others, with four notable exceptions, were shot in the stone breakers' yard on the north-west corner of Kilmainham jail, commandeered by the British in 1914 to accommodate extra troops. The exceptions were Tom Ceannt, shot in Cork; Eamon de Valera and Countess Markievicz who were reprieved, and Sir Roger Casement who was hanged in London. The last to be shot were Connolly and McDermott, the one severely wounded, the other a polio victim. Poets and song writers rushed for their pens. The English had done it again. After the rising the number of prisoners in British custody was 3,430 men and 79 women. Almost immediately 1,424 men and 73 women were released. Of those remaining, 159 men and one woman, Countess Markievicz, were court-martialled. Eleven were acquitted. Ninety were sentenced to death but only fifteen were executed. The rest got penal servitude, ranging from two years to life. 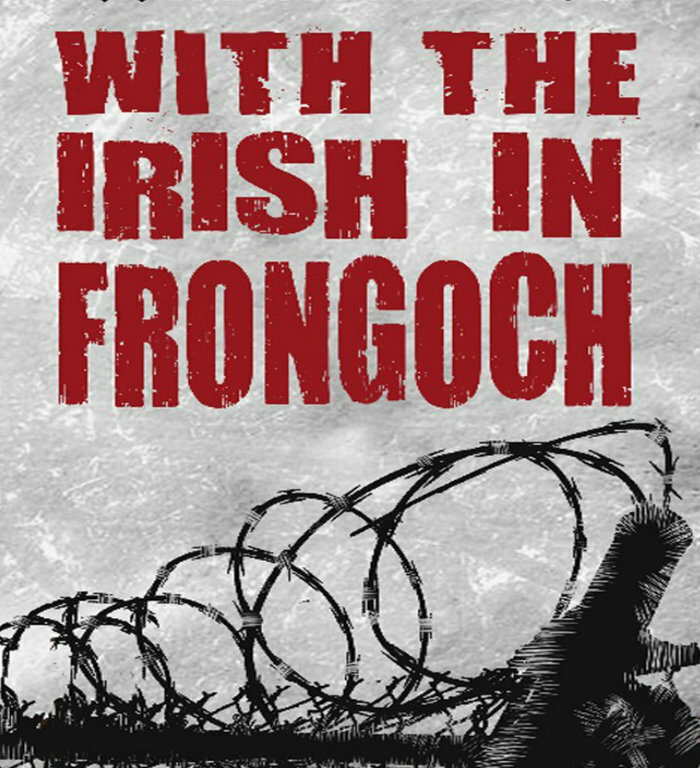 1,836 men and five womenwere interned without being sentenced and were shipped to the Frongoch camps in North Wales. Another bad mistake. German prisoners were moved out to make room for the Irish who soon settled in and organized themselves. Frongoch was divided into two parts; the south camp which consisted mainly of an old distillery, and the north camp which was full of huts. In order to lessen sympathy for the Irish prisoners, the British put it about that they were the recipients of 'The Kaiser's Gold', but as a propaganda exercise this backfired. The average Tommy was hardly well paid and was only too willing to treat the prisoners well, run messages for them and smuggle messages in and out in the hope of getting some of this magical (and non-existent) gold in return. Another mistake made by the authorities was to try to conscript a number of the internees, not all of whom had been involved in the Easter rising; indeed, many were political innocents scooped up by mistake, but actions like this created solidarity. Conscription of prisoners was strongly and successfully resisted. But the worst mistake made by the authorities was to have internment, in the first place. The camps became hotbeds of 'sedition', political education centres and training grounds for resistance fighters, the foremost of all being Michael Collins. In each of the camps, prisoners elected their own commandants (a practice always followed in the future) and established a chain of command with group and hut leaders. Morale was kept up by cultural activities, sports (1916 was a good summer) and lectures. The organizational abilities of men like Collins and MacCurtain were given full rein. Future action was planned and the lines of communication laid. The internees felt that they were much better off in the countryside of Wales than the sentenced prisoners in Stafford, Usk, Lincoln, Lewes or Dartmoor jails. Comradeship grew and with it a feeling of exhilaration. All this might well have died had internment lasted for a long time, but in December 1916 Lloyd George pushed Asquith out of office as British Premier and took over. By Christmas the last 600 internees had been released and sent back to Ireland – to drill, train and build up an organization to drive the British out. The process was given even more impetus in June 1917 when all the sentenced prisoners, including de Valera, were released. First, martyrs had been made, then the survivors were turned loose to an admiring audience. Irish aspirations for independence had been aroused yet again. Activity intensified. Almost immediately a spate of arrests followed. By the truce of 11 July 1921 there were 7,000 Irish political prisoners in the jails of England and Ireland. Most had been arrested on ludicrous charges. By 1920 people were getting up to two years for "whistling derisively at a policeman", having a single copy of the banned Irish Volunteer paper, An t-Oglach, singing 'The Felons of Our Land' – written 50 years previously – or carrying a hurley. But most of the important arrests were carried out under DORA – the Defence of the Realm Act. Introduced originally at the onset of the war, special 'Irish Clauses' were periodically added to the Act. By 1917 anyone "whose behaviour is of such a nature as to give reasonable grounds for suspecting that he has acted, or is acting, or about to act in a manner prejudicial to the public safety or the defence of the Realm" could be arrested. On 24 April 1918, quietly and without notice, the Defence of the Realm Act was altered to allow the authorities to take Irish prisoners to be interned in England. The constitutionality of such an action was about to be challenged in the courts while internees were in Frongoch, but the challenge was dropped upon their release at Christmas 1916. Now the law was altered to permit deportation to England. The way was being paved for the 'German Plot'. Germany had, in fact, very little interest in Ireland. More German guns had been sold to the 'Loyalist' Orangemen in the North than to the Nationalist Republicans in the South. The fiasco of Sir Roger Casement's attempt to form an Irish Brigade from captured POW's in Germany had convinced the Germans that little was to be gained from Ireland. The only other Irish 'agent' of the Germans to set foot in Ireland was Lance Corporal Joe Dowling who was arrested as soon as a U-boat had put him ashore on the Clare coast on 12 April 1918. He was sentenced to penal servitude for life and served six years. Casualties in the World War were mounting, however, and plans were afoot to introduce conscription to Ireland, hitherto exempt. This was another tactical blunder, for nothing was more likely to unite the Irish than attempts to compel them to fight for England. De Valera drafted the anti-conscription declaration issued unanimously by the Mansion House Conference of 18 April 1918 which included the words "the passing of the Conscription Bill by the British House of Commons must be regarded as a declaration of war on the Irish Nation". The conference was attended by Sinn Fein, the Irish Parliamentary Party, Trade Union representatives and others. The Catholic hierarchy also were opposed to conscription. Five days after the conference the Trade Unions held the first ever one-day general strike-against conscription. Lloyd George and his Government had been warned what to expect and so they cooked up the 'German Plot'. Conscription will be enforced. If they leave me alone I can do what is necessary. I shall notify a date before which recruits must offer themselves in the different districts. If they do not come we will fetch them. On 8 May Sir Edward Carson, not a Cabinet Minister, issued a statement to the effect that the Government "had the closest evidence in their possession that the Sinn Fein organization is, and has been in alliance with Germany". On 17-18 May the Government swooped. Seventy-three people were arrested. They included Arthur Griffith, de Valera, Count Plunkett, Countess Markievicz, Mrs. Tom Clarke, Maud Gonne MacBride, W. T. Cosgrave and Joe McGrath. Sean McEntee and Denis McCullough were arrested in Belfast. By the evening of 18 May they were all aboard a man-of-war at Dun Laoghaire. It was then they were informed that under the Defence of the Realm Act they were being deported and interned. After a week in a disused army camp near Holyhead they were split up and sent to Usk and Gloucester jails. A little later some or the Gloucester prisoners, including de Valera, were transferred to Lincoln jail. They (the Irish prisoners) are there under suspicion. Supposing they were found innocent of that (i.e. conspiring with Dowling) do you imagine that that would let them out? Of course it would not. They may not be the individuals, but they may be equally dangerous to the State. Dangerous they might well have been, but in most cases constitutionally so, for those arrested included most of the public speakers arid election agents for Sinn Fein, who were soon to win the next general election. Despite the exposure of the 'plot', however, a further 20 men were arrested and deported. The fight to be treated as political prisoners began upon their arrival at British jails. The internees, many already veterans of the English and Irish jails, were adamant. At Usk, Governor Young was out of his depth, and he soon gave in: the right of association, of writing and receiving letters and parcels were all granted; so was the prisoners' right to wear their own clothes instead of the broad arrow of the convict. In Usk and Lincoln they did not have to resort to the 'Lewes tactic' – i.e. smashing up the jail. During the summer, conditions were not too bad, but winter brought the cold and the influenza epidemic which savaged all Europe. Most of the internees were affected, but only two died. Statistically at least they fared better than the rest of the population. Escape was in all their minds, however, and on 21 January 1919 four men, McGrath, Shouldice, Mellows and Geraghty, went over the wall of Usk jail with a rope ladder. It had been intended that 20 would go on a mass break-out, but the influenza epidemic had laid many low – indeed, Mellows, who did get away successfully, could hardly stand. This escape and the resultant hue-and-cry in England came at a bad time for de Valera. He and two of his comrades, Sean McGarry and Sean Milroy; were co-operating in the process of having their own escape from Lincoln jail engineered. So important was it that de Valera should escape that Michael Collins and Harry Boland went over to England themselves to supervise it. The well-organized escape involved three cakes, three keys, a number of key blanks, files, key-cutting tools, a rope-ladder and a fleet of cars. It says little for the security of the jail that so much was smuggled in and that messages could pass in and out so easily. In January 1919 the first Dail assembled in the Mansion House in Dublin and one of its first decisions was to appoint three envoys to the peace conference at Versailles, to claim Ireland's freedom. The men chosen were then internees in English jails: de Valera, Griffith and Plunkett. Hence de Valera's particular desire to escape, and escape he did, in the company of Milroy and McGarry, on 3 February 1919, just eleven days after the Usk escape. They walked through a door in the jail wall, using a skeleton key, and were smuggled away to hideouts in Manchester and Liverpool. On 20 February, disguised as a priest, de Valera was back in Dublin. Never had there been such a hue-and-cry for an escaped prisoner; rarely had there been such a propaganda coup for the Irish. Internment was not to last. Embarrassed first by the escapes and then by the death, on 6 March, of Pierce McCann, a Tipperary TD interned at Gloucester (where the Usk prisoners had been moved following the escape), the Government gave in. McCann died of influenza and public opinion in Ireland erupted on hearing the news. Two days later it was announced that the internees were to be released. On 9 March the first batch arrived back in Dublin, led by Arthur Griffith and bearing the remains of McCann. The internment of the 'German plotters' was over – for the time being. Some had not been so fortunate in their treatment, however. Padraic Fleming had been arrested in connection with die supposed 'German Plot', but unlike the majority, he was not transported to England. Instead, he was housed in Maryborough (now Portlaoise) jail. He had been there the year before, after being framed (it is alleged) on an arms charge. He bad been refused political treatment, had gone on hunger strike and had been promised political treatment if he would wear prison garb. He refused and went on a naked hunger strike for a further fortnight. Public opinion having been enraged at the death of Torn Ashe from forcible feeding while on hunger strike in Mountjoy in September 1917, the British decided to exercise a new tactic vis-à-vis hunger strikers. This was the so-called 'cat-and-mouse' act. Under it a prisoner would be released while on hunger strike and rearrested when he regained his health. And so, on 20 November 1917, Fleming was let out. Next May, as a 'German plotter', he was back again in Maryborough. There began his one-man crusade for political treatment. It was typical of the determination exerted by internees and sentenced political prisoners to secure 'political treatment'. They did not regard themselves as 'criminals', nor did they intend to allow themselves to be treated as such. That their fight was unsuccessful is attested to by the fact that the same fight was fought in the same jail 25 years later, culminating in the death of Sean McCaughey after 31 days hunger and 12 days thirst strike. He had been naked in his solitary for almost five years. Padraic Fleming did not die, but his single-minded fanaticism could easily have led to his death, given "the cold blooded formalised cruelty of officialdom in power", in the words of Piaras Béaslai. Fleming refused to wear prison garb. His own clothes had been taken from him and he was left with only bedclothes, and these were removed each day from 6.00 a.m. to 8.00 p.m. Fleming was 23 and over six feet tall. It took eight warders to forcibly dress him. He tore the clothes off as soon as they were on and he was alone. The warders put him in iron manacles, with a body-belt which kept his manacled wrists and upper arms tight against his body. With his hands thus strapped warders had to feed him – a few spoons of soup and half a a pint of coffee a day. He broke out of the manacles. The warders put him in 'muffs', which practically paralyse the body. He broke out of these. He was then strapped so tightly across the stomach that his digestive system was disrupted. Again he went on hunger strike. After eight days the prison doctor said he was dying. Word came from outside that hunger strikes were to be called off; he recovered, but still refused to wear prison garb. The jail authorities tried to have him certified insane, but no doctor would sign. The strait-jacket restraint continued. The authorities built him a special cell supposedly warm enough for a naked man in winter. Despite the jacket he succeeded in tearing up the blankets. He smashed the gas fittings by kicking the rubber chamber pot up at them. He got out of the strait-jacket by repeatedly jumping at the gas jet until the jacket went on fire. He took the radiator apart with the hand-cuffs on his wrists, broke the glass of the window with the rubber chamber pot and with glass fragments between his teeth, he cut the jacket. He was dragged, head first, hands still manacled behind his back, down four flights of iron stairs, to be further punished. Finally, after seven months, in exasperation the authorities gave in. Fleming was granted the 'status' of a political prisoner and taken to Mountjoy. From there he escaped with 19 others on 29 March 1919. The thousands who filled the jails of England and Ireland until the truce of 11 July 1921 would call themselves, in many cases, internees. Under DORA there was no need to formally 'intern', when a man could be charged with 'possession of documents' or 'whistling derisively' and receive a lengthy sentence. On 9 August 1920 DORA was extended with the Restoration of Order in Ireland Act which, as Dorothy MacArdle wrote in The Irish Republic, "relieved the military forces in Ireland of almost all the restraints of law". Military authorities were empowered to jail any Irish man or woman without charge or trial under section 3 (6); could have secret courtmartials under section 3 (1-5). Only if the death penalty was involved could a lawyer be present, and he was appointed by the Crown agents. Four-fifths of the population who had given their allegiance to Dail Eireann were offenders against the Act, 14(1&2). Because 33 coroners inquests had indicted military or police for murder, inquests were banned. The jails of Mountjoy, Kilmainham (finally abandoned as a jail in 1924), Kilkenny, Derry, Cork (Spike Island), Belfast, Dundalk and Sligo, and military camps at the Curragh, Kilworth, Boyle and Ballykinlar were full, and prisoners escaped from all but a few of them. The Rath camp at the Curragh was still the official internment camp, however. Some 1,300 were interned there in 60 wooden army huts in a ten-acre area. The huts were arranged in four symmetrical rows, referred to as 'A', 'B', 'C' and 'D'. The prisoners' compound was rectangular and surrounded by two large barbed-wire fences, ten feet high and four feet wide. Between the two fences was a 20-feet wide corridor which was patrolled day and night. Machine-gun towers with powerful searchlights were situated at each corner and played on the huts. It was regarded as escape-proof. Attempted escapes in laundry vans and refuse carts had failed ignominiously. The guards had orders to shoot anyone approaching the wire and no one doubted that they were quite prepared to shoot – in January 1921 James Sloan and James Tormey, both from Westmeath, were shot down in Ballykinlar camp for "gettig too close to the wire"! In April 1921 a tunnel at the Curragh was betrayed. Men of the Kings Own Scottish Borderers made straight for it. As a result, 'privileges' were withdrawn. All tunnelling was suspended. On 11 July the truce became operative, but there was still no release for the internees. Thirty-seven who were TD's were released so that the Dail could consider the British peace terms. In August Sean MacEoin, under sentence of death in Mountjoy, and the only TD still held, was released after the Irish had threatened to break off negotiations unless he was freed. While MacEoin was in Mountjoy, a most ambitious attempt to rescue him almost succeeded. It involved the capture of a British army whippet armoured car which was driven straight into the jail by the IRA. When, in spite of the truce, there were no general releases the Curragh internees began tunnelling again. Two tunnels were started. The 'professional' and ambitious 'Dublin Brigade Tunnel', and the 'amateur' 'Rabbit Burrow'. In the event it was the amateurs who got there first. In the space of only 18 days they reached the outside wire, and, on the night of the 8 September 1921, in a dense fog, 50 men got away. They wandered around in the fog and some even blundered back to the wire, but all eventually escaped. Section Leader Brabazon, who stayed behind, commented, "If we'd waited four more days until a larger tunnel was finished we could have got a thousand out." Many of the remaining internees were transferred to Kilkenny, where, benefiting from the tactics learnt at the Rath camp, 43 men tunnelled their way out on 23 November (including Michael Burke of Glengoole, who had survived a 90-day hunger strike in Cork jail). Just a fortnight later it was over. The Treaty was signed on 6 December. On 8 December all internees were released. The English can claim that this was their last venture of peace-time internment – but in 1923 over 100 Irish men and women, mostly members of the Irish Self Determination League, were deported from England under Clause 14B of the Restoration of Order in Ireland Act and interned upon their arrival in Ireland. This was subsequently shown to be an infringement of British law and those deported were eventually returned to England and received some compensation. Camps were subsequently established in Aden, Cyprus, Malaya, and, most infamous of all, Kenya. But liberal British public opinion has always been less squeamish when the rights of black people were infringed. In Kenya men were killed in Aguthe detention camp and the most horrendous climax came on 24 February 1959 when 11 Africans were beaten to death in Hola camp. Leading Conservative Ministers Julian Amery and Alan Lennox-Boyd saw no need for an inquiry after all, over 80,000 men and women had been rounded up with no charges brought against them and 700 men were kept without trial for over seven years (a "certain amount of indiscriminate violence is inevitable"). Even with the news of the horror and murder that came out of Kenya internment camps and the reports of Chief Officer Captain Ernest Law, who resigned in protest, the British Government still looked after its own. The Acting Assistant Commissioner of Prisons, J.B.T. Cowan, was made a MBE in the Queen's Birthday Honours List of June 1959. With true family solidarity Lennox-Boyd's sister spoke out. "I'm sick hearing about consciences," she said. "What we want is a real Conservative who doesn't keep seeing good in the other side." Lady Huggins, vice-chairman of the Conservative Commonwealth Council, was equally firm. "Too much fuss is being made of the deaths of Mau Mau detainees at Hola camp," she told students at Nottingham University. "These men were certainly beaten to death but they were, in fact, the worst type of criminals themselves and they would not have been accepted back in their home districts." It is, of course, totally unfair to blame Britain for any atrocities committed in foreign lands under the control of the British army – "the finest body of fighting men" etc. It is well known that the British Judicial system is the finest in the world and the envy of all: the rights handed down in the bosom of every guardian of the law, from the police and army to the MPs who ably represent us at Westminster. But, though it is not generally well known, in 1939, before the war broke out, Britain again introduced internment; the recipients were, yet again, to be the Irish. On Monday 16 January 1939 the farcical IRA bombing campaign in England was begun, after a solemn 'declaration of war', under the command of Sean Russell. Using Jim O'Donovan's 'S' plan the campaign was a short-lived disaster which nonetheless cost the lives of seven innocent English civilians, wounded over 100 and resulted in the execution of Barnes and McCormack (Richards) on 7 February 1940, to say nothing of lengthy jail sentences, up to 20 years, for over 100 Irish prisoners (23 men and women got 20 years penal servitude, 34 got 10-20 years, 25 got 5-10, and 14 received less than 5 years). Even before the tragic accident in Coventry, on 25 August 1939, the British Government had acted. Generally it is a lengthy process getting legislation passed through Westminster. A series of 'Checks and Balances' ensure that legislation is usually a time-consuming business. On 28 July, however, something of a record was set up when the Prevention of Violence Bill took five minutes to get through the first and second reading in the Lords. The third stage was waived and so by the next day it had passed into law. Its provisions allowed deportation for Irishmen and, that old standby, internment, as well as the registration of all Irishmen living in Britain. By 5 August 48 expulsion orders and five prohibition orders had been issued. Many hundreds of Irishmen did not wait for the midnight raids but took the Holyhead boat home – only to discover the Free State Government had just banned prisoners' dependants meetings and had put into force the Offences Against the State Act. The declaration of war saved the British the embarrassment of 'peacetime' internment. Those men they wanted were lifted for the duration of the war and kept with other 'aliens' and 'suspected persons' in camps – the best-known one being on the Isle of Man. In 1940 there were 1,400 interned. Only 50 were still interned when, in May 1945, Herbert Morrison announced that the order had been revoked. The Government had considered interning communists but desisted, fearing unrest in the Clyde. Most of those interned were German nationals. One of the most unfortunate was the gentleman who found a pocketbook containing £9 and took it to a local police station in Middlesex. He was thanked, asked his name and address and then interned. Three thousand aliens had been rounded up in May 1940 due to panic created by newspapers such as the Express and Herald. The conditions of internment varied from 'inconvenient' to 'atrocious'. Successive British Governments have denounced internment as 'a despicable weapon' – and used it. Ex-internees Makarios, Banda, Nehru, Gandhi and de Valera would presumably agree. But they all became respectable statesmen. Britain would do well to remember that in the Long Kesh Class of 1972 may languish a man of similar stature.